Natural disasters have a history of devastating Jakarta, Indonesia, with their impact continuing to have serious repercussions long after the initial disaster has struck. In response to this destruction, Swinburne’s Centre for Design Innovation (CDI) has signed a Memorandum of Agreement (MoA) with Binus University, Indonesia working towards a better and more responsive future for Jakarta in the wake of disaster events. 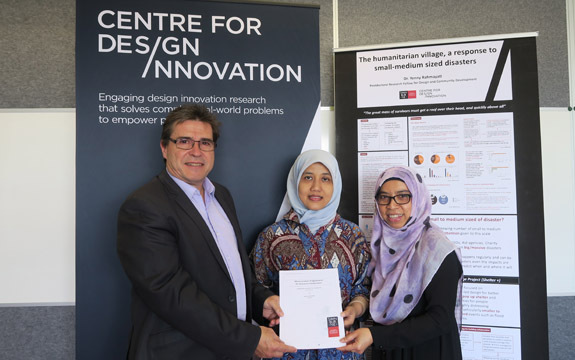 This will see a five-year research collaboration between the two universities and focuses on CDI’s Humanitarian Habitat and Design program which looks at the design of suitable, temporary shelters and facilities for after disaster.